The fork is that part of a bike which holds the front wheel in place. A regular fork has two blades; the top of the blades are joined by the fork crown. A movable tube connects the fork with the bike’s handlebars, thus allowing the user to steer the bike. The steering tube of the fork is connected to the frame with bearings known as a headset. However, a Mountain Bike fork is a little bit different from the regular bike fork. The mountain bike fork is specially designed to absorb shock waves. These forks are strong, light in weight and come with shock damping ability. There are certain qualities that you should look for while buying a good fork for your mountain bike. Mountain Biking is a very assorted sport and the suspension forks are specially designed to support this sport. There are various types of forks for different bikes like cross-country bikes which mostly offer 80 – 120mm of suspension travel. The range of the trail bike starts from 120mm and ends at 140mm; enduro and all the mountain bikes has the range between 15 to 170mm and, last of all, gravity or downhill rigs come between 108 and 310mm. 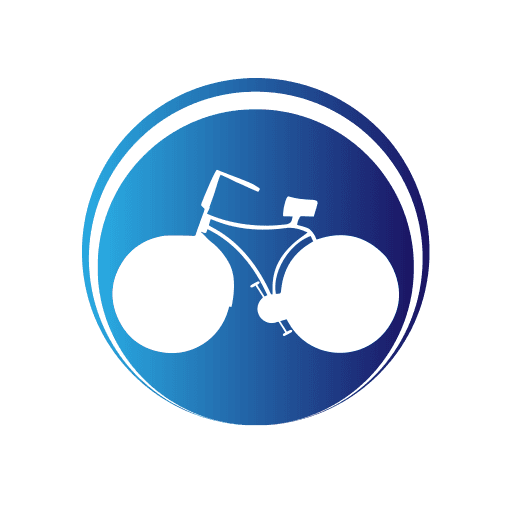 If you have used your bike vigorously, it will be very hard to control it. So, the damping control is very important. There are various dampers available in the market but the adjustable damping would be the best, as after the ride the fork comes back to its original height automatically. In other cases, you have to manually do it with a clang. Durability is a very important factor as you won’t buy a costly mountain bike to ride it on the plain road. You need to look for light weight tight forks which would suit the climbers and other cross-country riders. You have to consider 3 different axle standards such as 9mm fast release type which comes with some low-end forks. But nowadays, most of the cross-country and trail forks use 15mm axle. The long suspension forks for enduro or downhill uses feature 20mm thru-axles. If you have used RockShox 30 Silver fork you will definitely end your journey with a smile. It is light in weight and designed with heartwarming technology that will boost your riding experience to the next level. 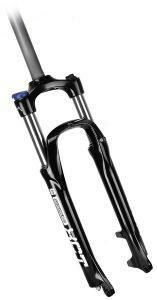 RockShox 30 Silver TK fork supports up to 100mm suspension travel. It supports up to wheel size of 26 inches. For damping control, it uses TurnKey Lockout. For additional adjustments, External rebound and TurnKey Lockout are available. They also provide Spring Adjusted Preload. It weighs only 2,180 grams. The rotor size is v/disc PM-160. The tubes are 30mm straight with Satin Nickel finish. The handlebar is straight 1-1/8 inches. It works well, suits the trail bike perfectly. The remote lockout is very efficient too. Even after taking lots of hits, the suspension is consistent. The fork is not very light and it could have been more adjustable. The spring coil is not very effective; I changed it with a very stiff replacement. It works fine now. Known as an entry level fork, Sr Suntour has surprised many riders with its efficient and trustworthy performance. The model uses Coil Spring. It supports up to 100mm suspension travel. The model can support disc brake only. The lower end of the fork is made of aluminium. The steer tube is 28.6mm. This one is very cheap and uses mechanical locks. The spring coil is very stiff and the fork itself is very heavy. The fork is not adjustable; it leaks oil and no recoils. The damping control is not very smooth. The fork only supports cross-country riding If you use it on a rough mountain trail, you will be back home in no time with leaking oil! As stated earlier, buying a mountain bike fork is a very complicated matter. You have to consider several things before you buy a fork that will satisfy the compatibility, ride quality and the handling of your mountain bike. These are two of the best mountain bike forks in the market right now. These forks are cheap and their performances are approved by many.